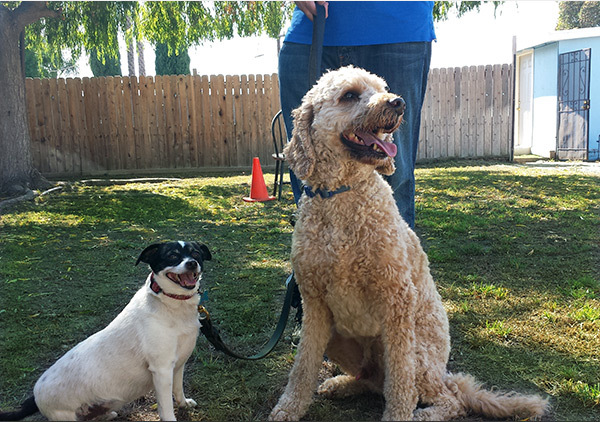 Doggie Boot Camp is an exclusive obedience/behavior modification program located in Los Angeles, Ca. Only a handful of dogs are taken at a time which allows us to intensely work on your dogs makers and/or rehabilitation. We offer obedience, manners, behavior modification and rehabilitation for dogs. We use positive behavior modification techniques to teach dogs socially acceptable behavior. In the comfort of your home or at Doggie Boot Camp, your dog will learn socialization skills through practical exercises in actual situations. Problematic anxieties, such as jumping and fleeing from the premises, will become a thing of the past. Basic obedience training will enable your dog to learn commands such as “sit,” “stay,” “down,” “come” and “heel” with ease. David Dickey has been actively involved in the art of "canine behaviorism" for over 30 years. Positive training is the foundation of David’s philosophy. He teaches pet owners how to duplicate these methods to achieve consistent, successful results. David was born and raised in Manhattan Beach, California. His mom was a school teacher and his father was a school custodian who worked with big cats and rhinos at the Los Angeles and San Diego Zoos during the weekends and summer vacations. From David’s early childhood, he always had animals around and was intrigued and immersed in animal behavior. When David turned 13, he worked that summer at a family friend’s exotic bird ranch in Fallbrook, CA. After his daily work on the ranch was completed, he would teach the Toucans, Black Swans and other exotics to perform a behavior to receive a treat. David has written numerous dog behavior articles, appeared on TV as a dog expert and co-authored a scientific study on dog behavior that was published in a peer reviewed journal. David has repeatedly surpassed my expectations of dog training...the end results speak for themself! His effective and comprehensive techniques thrill his clients and his outgoing anf professional nature ensures a welcome friendship between all parties involved...He's the best!"